Playa Paraíso Iberostar Paraíso Beach location The Iberostar Paraíso Beach Hotel is located in Playa Paraíso, between Playa del Carmen and Puerto Morelos along Mexico's fabulous Mayan Riviera. 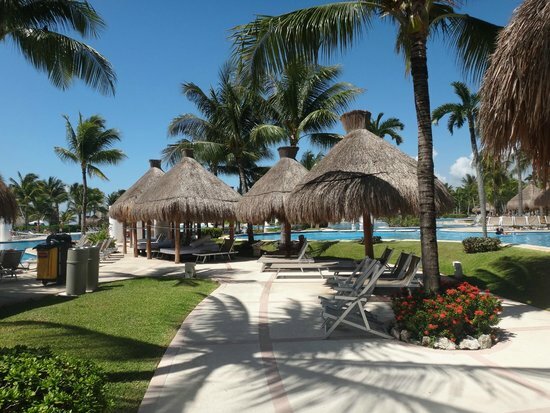 This 5-star luxury hotel is within easy access to the region's major tourist attractions as well as Cozumel Island , a dream destination for scuba lovers. It is located in Playa Santa Maria del Mar, near Playa del Este, about 40 km from the airport and 27 km from Havana that is just a 25-minute drive. Blending in Itabo lagoon, natural habitat of mangroves and many species of fish and birds. The transfer to and from the airport takes about 50 minutes.